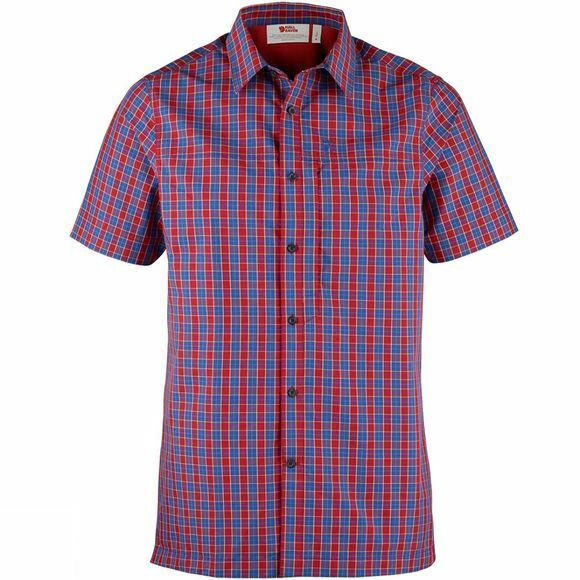 Short-sleeved shirt with Comfort Fit and a classic cut. Made from an easy-care fabric in recycled polyester and organic cotton that wicks away moisture and dries fast. The fabric’s light seersucker structure lifts it a little from the skin, which increases air circulation and gives it a cool feel. Perfect for travelling in warm conditions, from big cities to jungle trails. Vertical chest pocket with zipper.